My name is John Hemm. 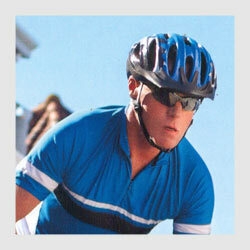 I’m an avid bicyclist and enjoy an active, outdoor lifestyle. But being an IPM patient is what affords me the physical activity I love so much. Cycling has been a passion for the last 15 years. I did not start using pain killers until after I started riding a bicycle. I’ve had both knees and both hips replaced over the last 8 years. It seemed as soon as one joint healed from a replacement, another joint was going south on me. I have ridden my bike all throughout, but the pain was awful. My joints were essentially dissolving on me, and I relied more and more on pain killers. I suffer from a painful joint disease, which eventually led to five major joint replacement surgeries over 10 years. The constant pain, both prior to and following surgery, left me with an addiction to narcotics such as Vicodin, Narco and Duragesic pain patches. When I made an appointment with a Dr. Boparai, the emotional relief started immediately. From the moment I stepped into the office, the staff made me feel cared for and comfortable. Dr. Boparai is nothing short of amazing. Her kindness and care made it so easy for me to quit relying on drugs to function. I have to say, Dr. Boparai and IPM saved me from years of pain killer addiction. What’s more, they saved my life. 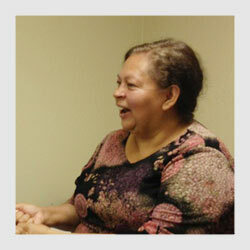 My name is Gloria Ramos, and I came to IPM in desperate need of help and relief. I see Dr. Dave, and from day one she has treated me with respect and given me hope. Just the way Dr. Dave listened to me meant as much as the physical treatment. By listening and understanding, she was able to give me the support and direction I had sought for so long. Because of Dr. Dave’s care and compassion, I was finally able to get relief and bring my physical condition back to a good place. For so many years, I missed taking walks, or just working in my garden. Today, I am able to do those things I love once again. Restoring physical activity is about so much more than mobility and relief from intense pain. It’s a healing of the soul through the joy that comes from being happy and having the freedom to live in my body, rather than feeling trapped in it. Thank you, Dr. Dave and IPM for giving me my life again! My name is Jacqueline Konechne. I have been a patient of Dr. Kim at IPM Medical Group for many years. 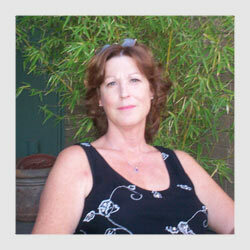 When I first came to see Dr. Kim, I was dejected from an ongoing struggle with chronic pain. Living with pain takes a physical and emotional toll. It was apparent to me right away that Dr. Kim, and the entire staff at IPM, go above and beyond basic pain management and patient care. I believe Dr. Kim truly feels how I am feeling, and wants to make sure I am have the best quality of life possible while he is also working to take care of my pain. Feeling like your doctor really understands you and really supports you, and is working to improve your life is the most wonderful feeling. I am so thankful to Dr. Kim and the entire staff at IPM. I cannot thank you all enough for the work you do each day to make a difference in the lives of people just like me. 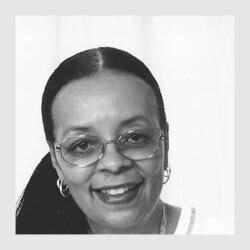 My name is Vickie, and I am so thankful to be a patient of Dr. Kim at IPM Medical Group. At one point, I really thought no one would be able to help me because my medical issues compounded one another. I have back and neck problems, diabetes as well as P.A.D., a condition that restricts bloodflow to my legs and makes walking painful and difficult. Dr. Kim understands how all these different conditions complicate each other to increase my pain and suffering. But he always had a plan, he always seemed very current and up-to-date on the latest procedures and treatments that would make the most difference for me. I can honestly say Dr. Kim is one of the most caring doctors I’ve ever had, and the staff supports the doctors in being effective. If I ever needed in before my next scheduled appointment, they got me in right away. I never felt like they were too busy for me. Thank you Dr. Kim and IPM for the difference you have made in my ability to feel good and enjoy my life! I’m Dora, and I’ve been an IPM patient for more than 13 years. I keep joking they’re going to boot me out at some point. But the truth is, I can’t imagine what my life would look like today without Dr. Kim and the care I’ve had with IPM. 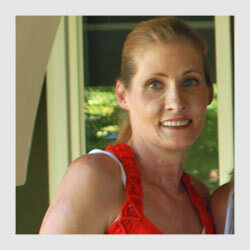 I have undergone a number of surgeries, and dealt with debilitating pain on a daily basis. Even though the worst of it was long ago, I will never forget the thousands of tears I cried, and my fear that my life was going to be a painful nightmare. If you live with chronic pain you how hard it is to imagine ever getting REAL relief. My surgeon is the one who recommended IPM, and that referral changed my life. From the moment I made my first appointment, I had hope. This is the kind of practice whose business is really helping people and you sense that when you first have contact with them. Everybody there cares. I trust Dr. Kim in his assessment and his plan for my condition, my medicine, how I feel day-to-day and his plan for my future care. I can’t really find the words to tell you how much that means. But, I have referred family and friends to IPM. I know firsthand they will have the same great experience I have gotten all these years. I work for a large HMO and I know from both a patient and professional standpoint how important the quality of patient care is. IPM Medical Group gets that. Dr. Kim is truly a doctor who listens. He answers my questions and when I tell him my concerns, I always get an answer that is honest and about me, not just a routine answer. The office staff always makes me feel like my phone call is important and my messages get answered right away. Living with terrible pain is not okay. I would say IPM shows you every option available for relief. Also, just having your condition laid out for you, your options presented to you and a doctor who wants to make things better is such a burden lifted off you! If it wasn’t for Dr. Kim and IPM, I hate to think what my life would be like. My name is Jennifer, and Dr. Kim has been my physician for almost 10 years. Without Dr. Kim, my life would be an unspeakable story of pain and misery. I am thankful daily for his care. My health issues alone would create enough pain to require pain management, but I am also a burn survivor, burned over half of my body. I’ve had more than 50 surgeries and burn survival and recovery is synonymous with lifelong pain. Dr. Kim approached my case from the beginning with a spirit of compassion and a positive attitude that planted in me my first seeds of hope that I could overcome all I struggle with. Dr. Kim put in a huge amount of time trying to find a way to eliminate or reduce my pain with the least amount of medication. He has been a blessing not only to me, but my family. When I tell others about Dr. Kim, I never know whether to start with his skill and effectiveness as a doctor, or his sheer compassion and goodness as a human being. One of the things I find myself repeating over and over is that pain is real, and pain management WORKS, especially if you have an amazing group of doctors like those at IPM. I recommend IPM and Dr. Kim to anybody, regardless of your level of pain or your level of belief that there is relief for you. Thank you Dr. Kim and IPM! I would like to share my story with Dr. Kenneth Kim. I’ve been a patient of his for quite a few years. Dr. Kim requires me to bring him a EKG at least every six months. Well, one day I took in my EKG and he did not like some numbers. In fact, to his well-trained art of medicine, he informed me that I needed to get this abnormal EKG taken care of. (FIND OUT WHAT WAS GOING ON WITH MY HEART!!) My primary care physician didn’t see any reason for me to worry. Well, I had to fight for my referral to a cardiologist. (DR. WAYLYN KIM) . Well as a result of Dr. Kim’s excellent ability to care for me patients I am alive today. One month after I was referred to my cardiologist I was in the operating room. 1st I had a stent put in my clogged heart vein. Then it was discovered that I had a large heart attack that I was not aware of as well as a blood clot in the upper chamber of my heart. After more testing, it was found that I needed a defibrillator planted in my heart because my heart doesn’t have the full mussel power that it had before the heart attack. That was an emergency surgery done in December 2018. I tell you this not so much to give you my medical problems but to tell you that DR.KENNITH KIM SAVED MY LIFE AND CARED ENOUGH TO GO THE EXTRA MILE FOR ME. I can’t tell you what a wonderful, caring individual he is. I am so grateful that this Dr. has made it possible for me to live a little longer.